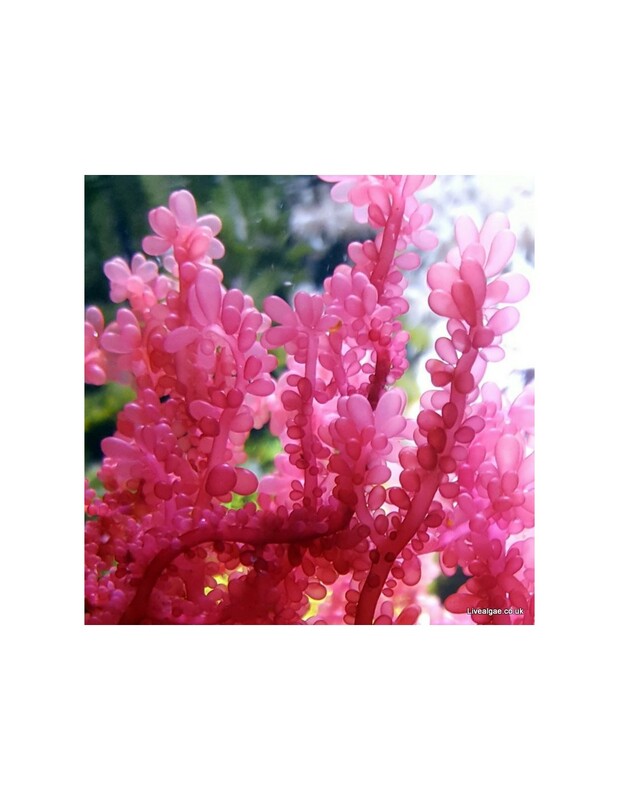 The Botryocladia - Red Grape marine macro algae is with its vibrant deep red coloured grapes an eye catcher in the marine tank and on high demand. 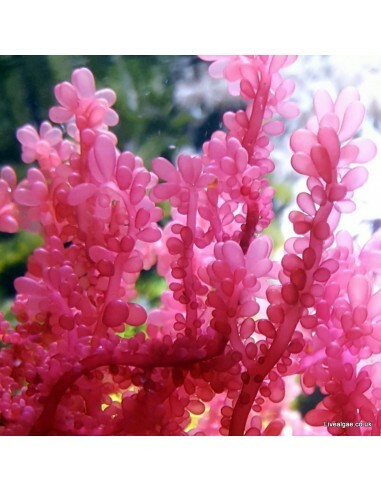 It is a non-invasive, beautiful looking marine algae which will look amazing in any marine aquarium, as a medium fast growing algae species perfect for Nano-Tank, Reef-Tank and Seahorse Tank, as it will provide great holdfasts for Seahorses too. Botryocladia - Red Grape prefers a place with just medium strong light. When the bubbles turn paler it is often a sign of too much light. The grapes of this macroalgae seem to be very tasty for a lot of marine algae eating fish species, therefore it is recommended to keep it in a safe place until you like to offer it as additional food to your fishes. Hi, Would guillards f/2 formula be a suitable nutrient feed for them? Or would it need supplementing with something else? Hi. I could imagine that it could do the job. But I tried to find the formula for it, to see the different ingredients, but couldn't find it. It works very well in a marine water environment with some Nitrate ( recommended at around 2-10) and Phosphate ( recommended at around 0.3). Most marine aquariums with fishes will have this, as long as no Nitrate or Phosphate remover is used. Please have a look at https://www.livealgae.co.uk/info/what-nutrients-need-marine-macro-algae-to-grow for further information. Can I use this algae in my Seahorse tank without the risk of going bad and causing trouble? This macro algae is a perfect addition as well for the Seahorse Tank. It doesn't go sexual as some Caulerpa algae species can do and it is a very hardy algae species, which doesn't need a lot of light too. It will provide great natural holdfast for your Seahorses and look beautiful. We highly;y recommend these algae for your purpose. They arrived very healthy and the seahorses attached to them immediately. Good quality marine algae. competitive prices and prompt delivery. Excellent. Excellent quality product and delivery.